"When the why is clear, the how presents itself." Sincerity and Ingenuity are at the core of Kevin's philosophy of performance. If you can dream it, Kevin will help you attain it. Kevin is a member of the Idaho Association of Professional Auctioneers (IAPA) and the National Auctioneers Association (NAA). He has earned the Benefit Auctioneer Specialists (BAS) designation, which less than 550 auctioneers worldwide have achieved. 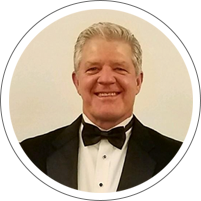 As an avid life-long learner, Kevin attends Benefit Auctioneer Specialists trainings, summits and workshops across the nation. Specializing in turning your question marks into Dollar signs. If you have a question about a service or fundraiser, I would be happy to discuss your goals and ideas to determine how I can best benefit you. I want to try to inspire people to imagine the possibilities if they give. If I can accomplish that, then I’ve done my job. When you hire me, you get a passionate, motivated, experienced, cheerful, thankful teammate for your event. I am a consultant, as well. No extra charge. I have a thick book full of lists and strategies to make the most of your committee’s hard work. Getting people to give money so they can be part of this cause. At the same time I’ve giving them the opportunity to be blessed because when you give you always receive more. No one ever got poor from giving. They are always made rich, it may not be monetarily but in their soul. It’s them knowing they did something different. It’s them knowing they got to be the hero. Here is how to make your event the best it can be. Tell me a little about your fundraising event, I would love to help make it a success.